Visit the amazing Grand Junction Colorado area and stay at the Residence Inn by Marriott for a fine vacation getaway. Book a stay at the Residence Inn Marriott by calling 1-800-780-5733 using Promo Code: 83099 – receive great discounts or visit this discount link for Marriott Grand Junction Deals. 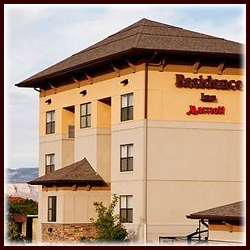 Residence Inn Marriott Grand Junction Colorado offers amenities including: indoor pool, kitchens/kitchenettes, a fitness and spa center, accessibility for the disabled, business service center, and much more.